A few inexpensive changes in the home can lead to fewer injuries from falls each year. Falls are the leading cause of injuries among older adults, sending more than two million people to the emergency department each year. Falls often result in brain injuries, hip fractures, immobility, and even early death. And many of the fall hazards are right in our own homes. "Anything that might trip a person is going to increase the risk of a fall. People with a balance disorder are often unable to recover when they trip because they lack the agility and coordination to do so," says Dr. Steven Rauch, a hearing and balance expert at Harvard-affiliated Massachusetts Eye and Ear Infirmary. But most falls are preventable. In fact, a study published in 2014 in The Lancet showed that inexpensive fixes at home are associated with 26% fewer injuries from falls each year. The following modifications made a difference for study participants. Install these along indoor and outdoor staircases, hallways, and anywhere you feel you need a little extra support. Costs for handrail installation average $25 to $40 per hour, according to Angie's List (www.angieslist.com), a website that vets home improvement professionals nationally. Total project costs, including supplies, will run in the hundreds of dollars, depending on how many feet of railing you need. Install these near showers, bathtubs, and toilets. You can buy grab bars at a hardware store. Prices start at about $20 per grab bar, and go all the way up to several hundred dollars for fancier versions. Avoid grab bars that "stick on" to shower tiles with suction, which are less reliable than metal grab bars attached to wall studs. Broken or weak lighting can lead to falls if you can't see where you're going. Make sure you have adequate lighting in hallways, stairways, and outdoor walkways. Ceiling and outdoor lights range in cost from a few dozen to a few hundred dollars each. The average per-project cost in the United States for an electrician is $250, according to HomeAdvisor (www.homeadvisor.com), a website that connects people to home improvement professionals. Solar outdoor walkway lighting costs about $10 per light. You simply push each one into the ground: they require no wiring and no electricity. Don't forget about night lights for areas in which you're likely to walk in the middle of the night—like between the bedroom and the bathroom. Such lights cost $5 to $15 each and plug into an electrical outlet. Some lights turn on only when there is little room light or when they sense motion. LED lights that stay on all the time make sense because they use so little electricity and last so long. These help improve traction on bathroom floors, outside decks, and outside steps. You can buy these at a hardware store and install them yourself. You can find packages of a dozen or more treads (in strips or geometric shapes) for about $5. Place a nonslip mat (around $10) in your shower or bathtub. Crumbling outdoor steps, loose wall-to-wall carpeting, and uneven floorboards make for unstable terrain that's harder to navigate when you have balance problems. 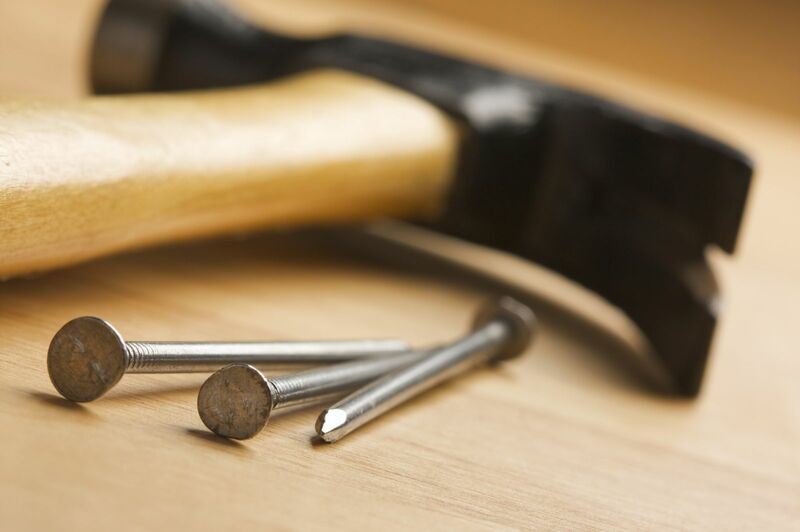 Call a handyman to repair stairs or floorboards, or call a carpet store to come and tighten wall-to-wall carpeting. There may be a standard home service call fee of $50 to $100 for the carpet repair. There are many simple changes you can make at home that cost little or no money. You can remove floor clutter, such as books, magazines, and electrical cords. Rearrange furniture so that it works well with the flow of traffic and you don't bump into it. Use double-sided tape to secure the edges of large area rugs to the floor, and remove small throw rugs—which are a common cause of falls. Replace burned-out lightbulbs and broken lamps to ensure proper lighting in darkened spaces.